Millions of Americans will head to the polls on Nov. 8 to cast their votes for the presidential candidate of their choice and Americans, especially Texans themselves, will be eager to see how the Lone Star state voted. Here's how to watch real-time Election Day results in Texas. There are so many ways to keep track of election coverage; both major and local news stations will be broadcasting election results right until the very end. News channels will likely also be streaming the election results on YouTube, just as they did with the presidential debates, which is great for people who don't have cable. If you have a media streaming device, such as an Apple TV, a Google Chromecast, an Amazon Fire, or a Roku, you can use it to broadcast news live-streams to your TV. Do you want to watch the election unfold on the big screen, but don't have access to any of these options? Have a friend host a watching party later in the day as the election reaches its most dramatic moments. Plenty of organizations, especially universities and colleges, hold Election Day watch parties, so keep checking Facebook for the events that will pop up in the coming days. And if you don't want to have a news station on in the background all day, local and national news sites will be constantly updating throughout the day. YouTube will be streaming NBC, PBS, MTV, Bloomberg, Telemundo and The Young Turks on Election Day, starting at 7 p.m. EST. You can set them up to send push notifications to your phone or your computer whenever something changes election-wise. Politico will also be updating the election results in real-time on their website; they have both a Texas-focused results page and a nationwide results page you can consult. Buzzfeed News and Twitter have also partnered to live-stream debate coverage of election night on the social network. But there's more to the ballot than the presidential election; members of Congress, judges, local representatives, and more are up for re-election as well. You can find out who's up for election in your congressional or legislative district by entering your address into a Who Represents Me form provided by the Texas Legislature. Nearly 1.4 million Texan voters have cast their ballots early in Texas' 15 largest counties so far, either in-person or by mail, according to Texas election records. But Texans can still participate in early voting. 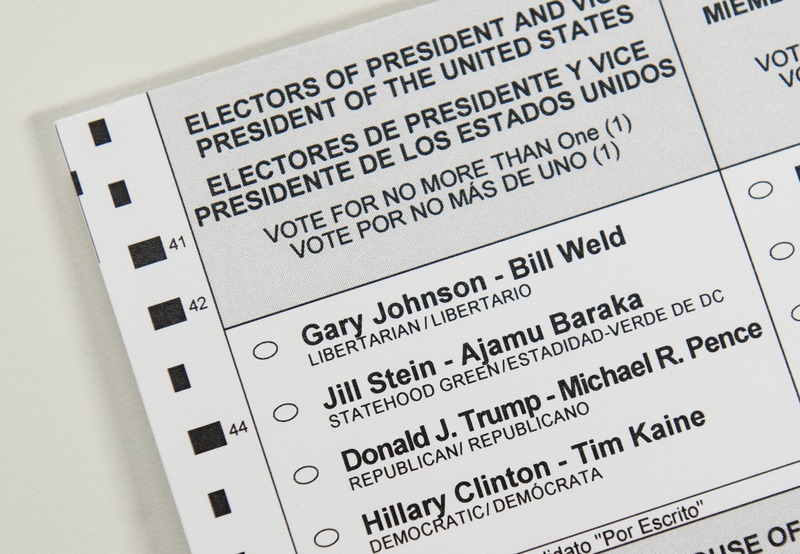 The deadline to request a ballot to vote by mail in Texas is Friday, Oct. 28. "We need to ensure that all Texas residents who qualify have the necessary information to receive their ballot," Texas Secretary of State Carlos Cascos told the Star-Telegram. If you're of voting age, now is the time to make sure you too can cast your vote on or by Nov. 8.